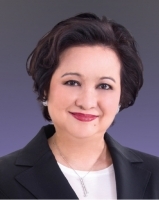 Ms Yeung is Executive Director and Chief Operating Officer of Regal Hotels International Holdings Limited. She has successfully led Regal through difficult times and steered Regal in turning crisis into opportunity through market diversification and expansion in the Chinese mainland. Ms Yeung has devoted much time to supporting education of hotel and tourism management. She also supports many charitable organisations and events, both in her personal capacity and in the working arena.